Lamar Odom may be down, but he is not out. We all know the stories and headlines regarding Odom falling on hard times — all the way from rehab to reality TV and celebrity blog fodder — and how it could all spell the abrupt end of the 2-time world champ and former NBA Sixth Man of the Year in a sad downward spiral for the likeable free agent forward. But now comes a report by ESPN.com that the former Los Angles Laker and Los Angeles Clipper has considerable interest from both clubs who continue to “monitor” Odom’s progress. The report goes on to detail that Odom is training for his return and both clubs are proceeding with caution knowing his personal and legal troubles in recent months. In the end, people within each organization — and around the league for that matter — want the best for Odom who proved to be an all-star caliber player back with the Lakers and before an abysmal season with the Dallas Mavericks. His return to LA with the Clippers was planned to rejuvenate Odom, but it was a struggling process as he averaged 4.0 points, 5.9 rebounds, and 1.7 assists in 19.7 minutes per game during last season as the Clips won the Pacific Division. If this is indeed another Lamar Odom comeback story, how will it play out? 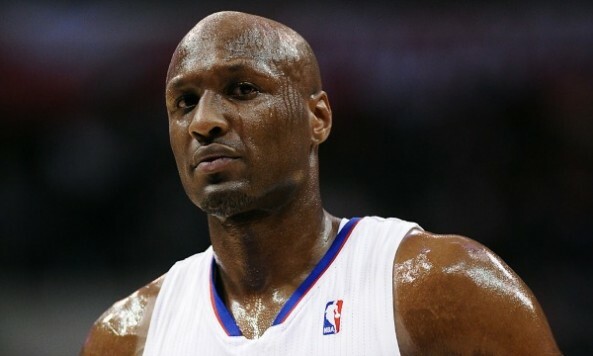 Reportedly, his personal life seems to be in the healing process as Odom focuses on his marriage, family and career. And while he has always appeared to be “at home” in LA, playing for either the Lakers or Clippers, the most important aspect is more about Odom’s overall safety and well-being, regardless where he continues to play basketball. As the saying goes, “Tough times don’t last. Tough people do”. Hopefully Lamar Odon’s tough times are behind him and he can continue the healing process with either the Lakers or Clippers.